The trees are just starting to turn here in Central Georgia and the fall colors are truly inspiring. Home decor, apparel and menus are all getting a fall makeover. 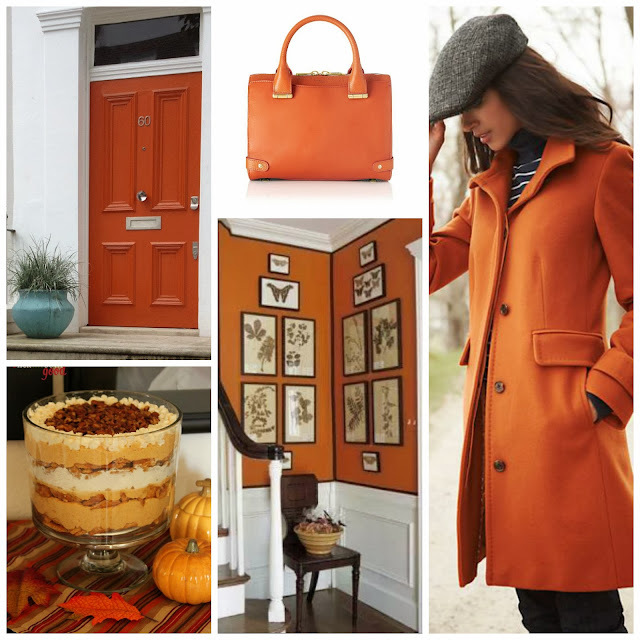 One of the first things I think of when I think of fall is orange and so this post is brought to you by the color orange (Sesame Street, anyone? No, okay moving on). Now that I have a little one and a house to decorate (yea!) I'm trying to step up my game when it comes to seasonal decorations. This is what you see when you walk in my front door. The lovely flowers are compliments of my hubby. I love everything about these photos, girl! Love orange. What a great entry!